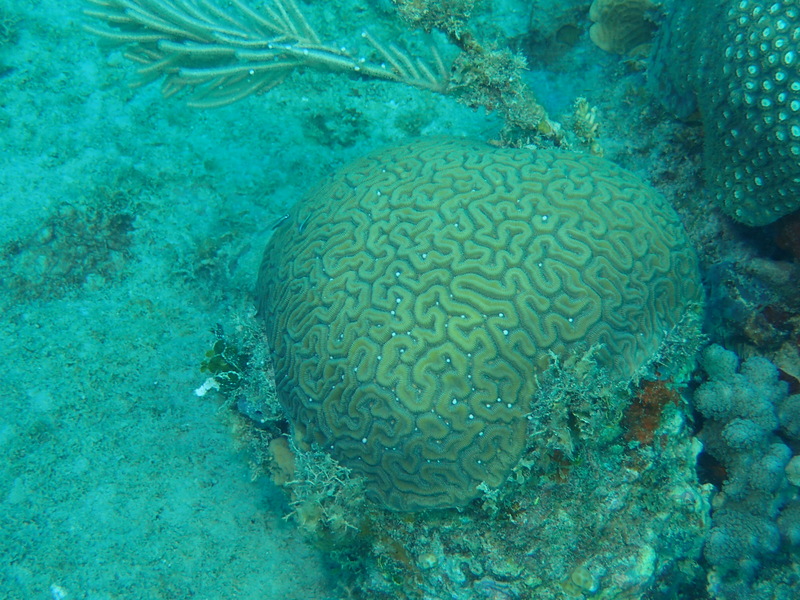 During the afternoons of the 11th, 12th and 13th of May, a team formed by our Base Leader Vincenzo Maffione, our Instructor/marine biologist Carlo Di Natale, and our great intern Giulia Giletta, took part in a study about the spawning of commonly called brain coral, a kind of coral that spawns one hour before sunset. 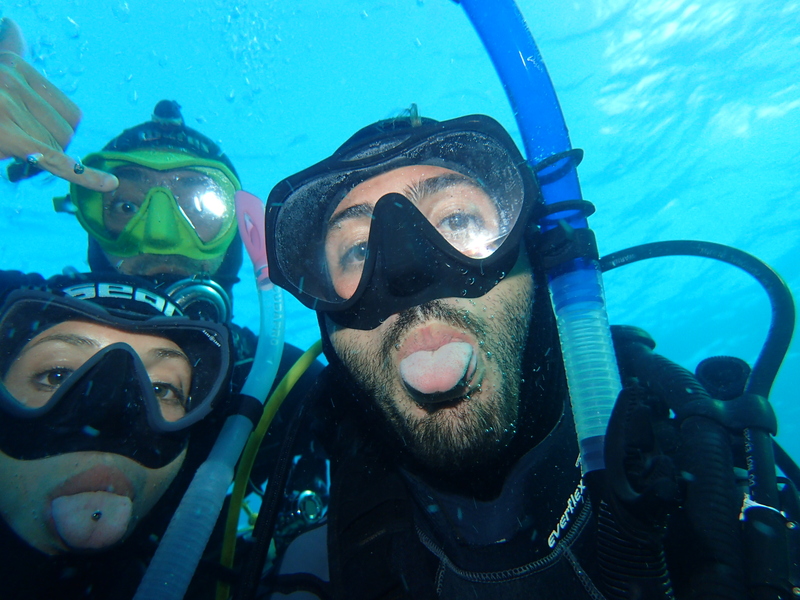 We passed three intense afternoons diving around a big area to identify and film this amazing show of mother nature. The first day we didn’t have any luck, but the next day all our expectations where fulfilled and, we could watch and study this incredible part of the life of our corals and, how the entire ecosystem reacted to that. 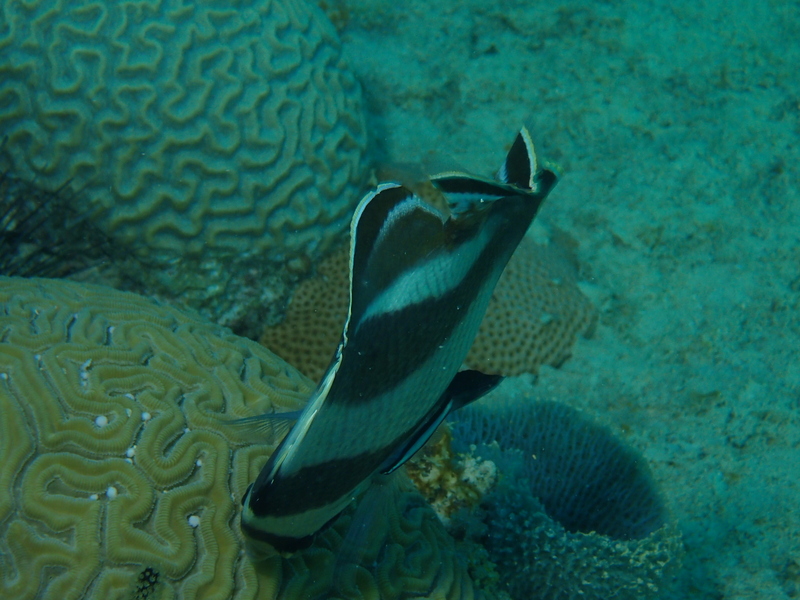 Fun fact, to find the corals spawning we had to follow the butterfly fishes, a species famous for eating the product of the corals, and was quite impressive to see so many fishes all together at the same time. 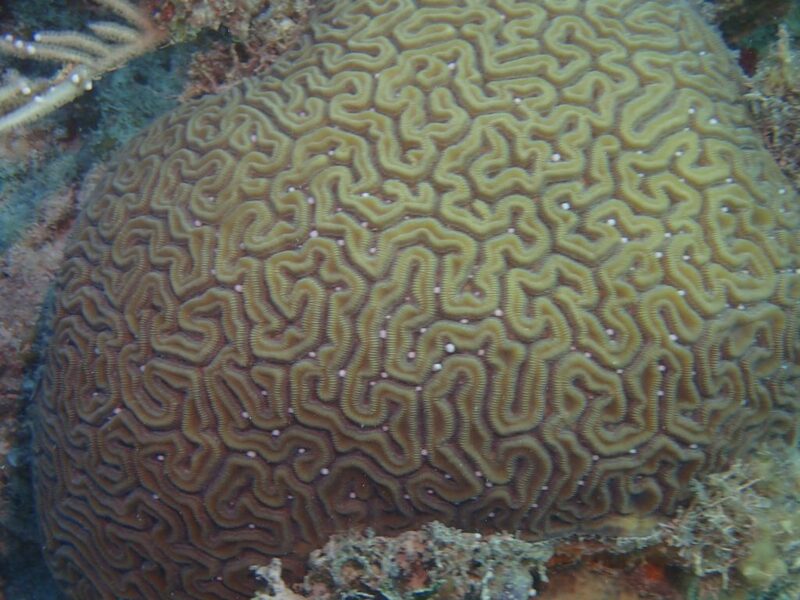 The Brain Coral strategy to reproduce themselves consists of releasing millions of sperm and eggs at the same time. The liberated reproductive cells are buoyant. In this way they float upward through warm ocean waters to merge near the surface. There, germination occurs and sometimes, they form giant pink slicks containing millions of coral embryos. 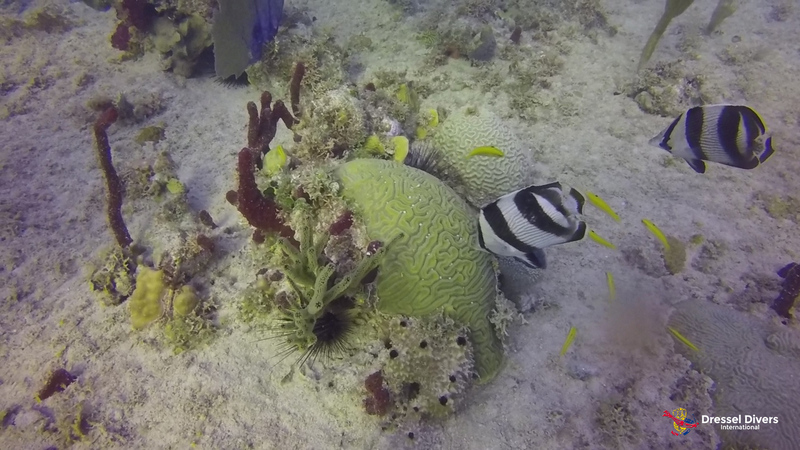 Recent studies have shown that the drifting youngsters can ride surface currents for hundreds of miles and descend to found new colonies and reefs. This event is remarkably punctual, its onset typically at a precise but poorly understood time after dusk in the afternoons following a full moon. With feverish activity, brian corals release sperm and eggs for about 20 minutes, in the twilight hours one night a year, or perhaps a few consecutive nights. Scientists are now researching to solve the mystery of how they are able to do these feat simultaneously. 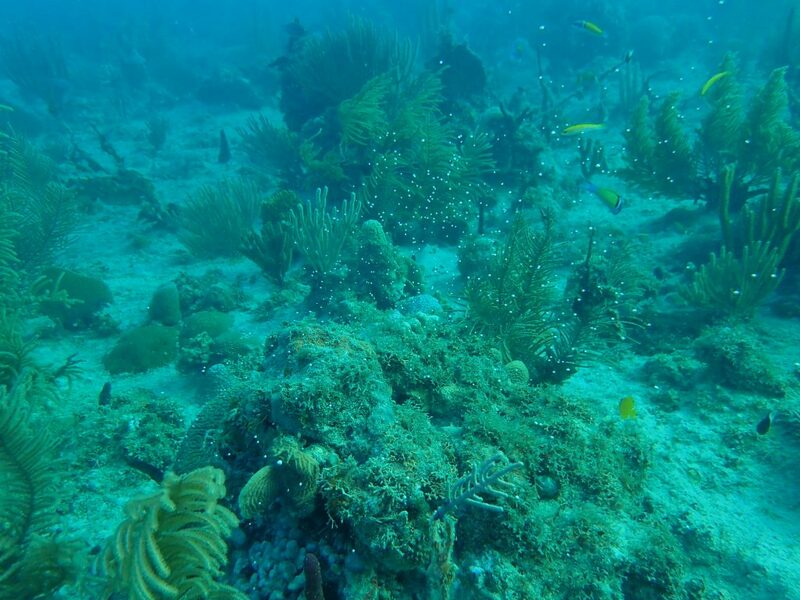 The question is: How do corals select the precise moment to spawn, all of them at the same time? 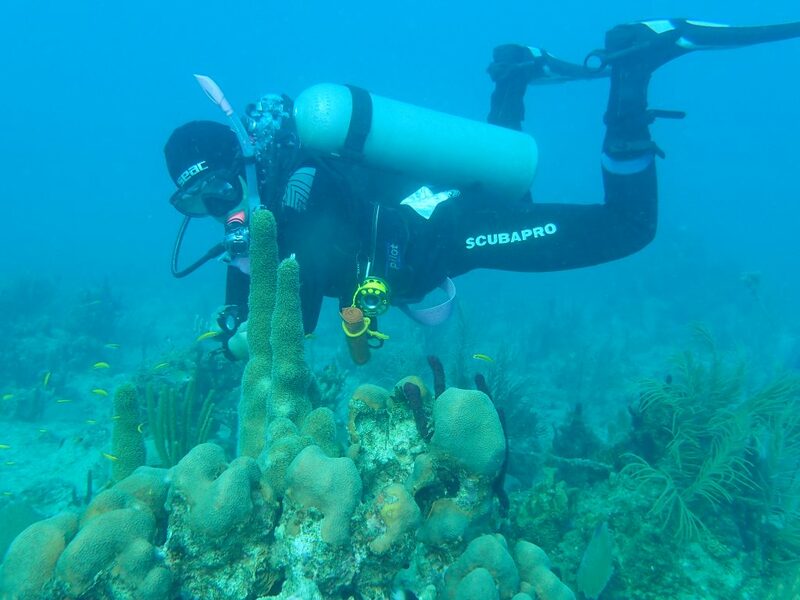 Go green is proud to collaborate with Fundemar in this study. 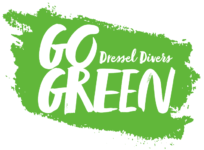 At the end of summer Dressel Divers will participate again in an event similar to this, the only difference being the spawning will happen late in the night. Follow us for more exciting news about our events!! !